Just as individuals use different forms of communications—words, gestures, signals of attentiveness—organizations use various communication channels. 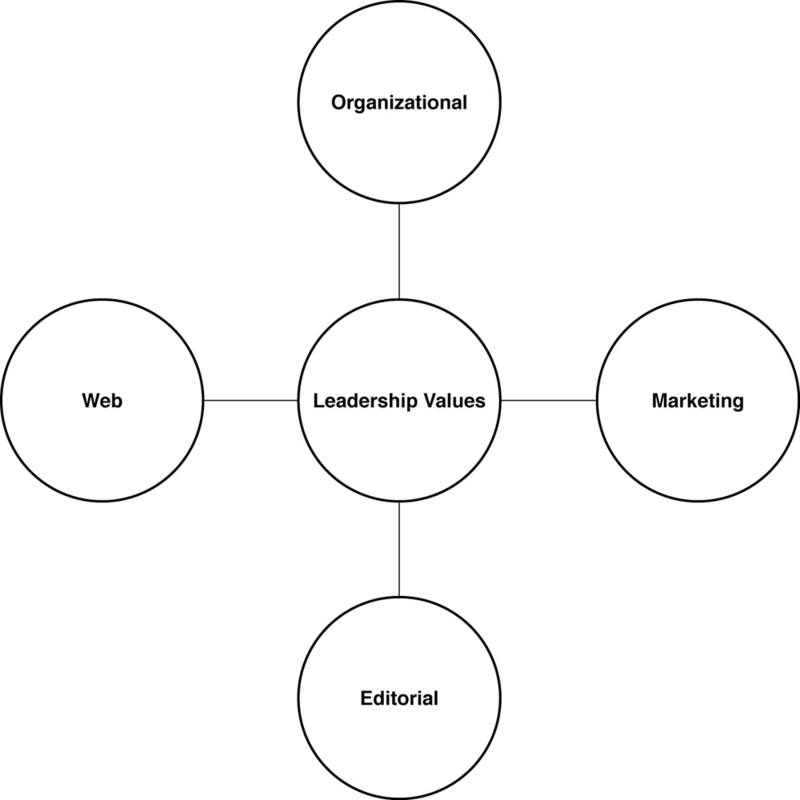 Typically an organization utilizes four types of communications, or channels (see Figure 4-1). While it may be advantageous to use all four channels to communicate a single initiative, it is often feasible to select a single channel for a particular message. Marketing communications refers to communications designed to present a point of view, e.g., to sell or promote. Think of advertising. What you see in a 30-second television spot or a four-color print ad communicates a message that is paid for by the organization. The same technique can be adopted by organizations that wish to sell the benefits of organizational transformation. Broadcast voicemail is a method a leader can use to get the message out. You can use voicemail the same way as email, but it has one further advantage—the personal touch. Voicemail conveys the tone and personality of the speaker. And as with email, keep all voicemail messages succinct and to the point. Otherwise the message will be erased. Of course, for maximum impact, it may be appropriate to use two, three, or all of these media. If the gravity of the message is weighty, it deserves multiple channels and multiple forms of media. Leaders need to plan how their messages will be disseminated. We call this planning integrated communications—multiple channels and multiple media working together. The virtues of integrated communications are threefold: One, you can design a message to work in different ways for different media; two, you increase the chances of the message's being seen and heard; and three, you can use the media to keep the message fresh and alive—and therefore of greater interest.